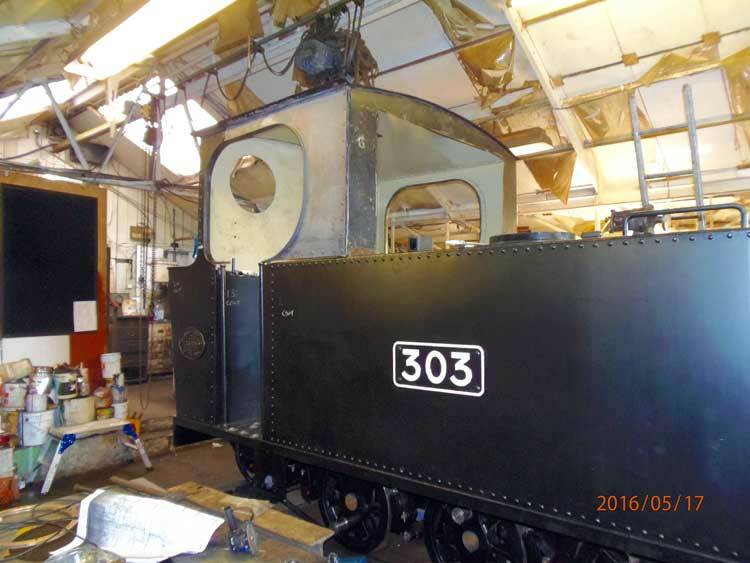 Hunslet Loco # 1215 – Restoration Update! Hunslet 4-6- 0T number 1215 – progress report. Restoration of the ROD Hunslet 4-6-0 number 1215 tank is accelerating now as we head towards completion, steaming and launch, so here is a quick update and summary of where we are with it and of the critical path for completion of the restoration work. See History of the Hunslet Loco # 1215 for more info HERE! The loco 1215 has proved to be an interesting restoration project – there has been a high degree of conservation work required because of her originality, her history and her iconic status serving behind the allied trenches in WW1. Many of her components are stamped 1215, or 303 (her WD number) or even 37400, the original Hunslet batch order number from May 1916. 1215 will have to work for her living once she is operational again and she will have to be reliable in service, so this has meant that some quite drastic engineering work has had to be carried out some times and many old parts have had to be replaced with new ones because the old parts are worn out or cracked. ALL the old parts have been retained and nothing is ever thrown away. When 1215 came to our workshop it was relatively complete – the boiler had been removed from the frames and the Trustees had started to remove the very badly damaged cast iron block from between the frames at the front – this is essentially the smokebox saddle but it is actually much more besides and of all the items on 1215 that were badly damaged this was by far the worst. It is to the great credit of CIW of Coalville that they were able to recover this block for us and placing the heavily repaired casting back between the frames was one of the first milestones of the restoration finally achieved – but with many more to go. We had a break from 1215 between about Christmas 2013 until August 2014 when we were all working flat out to complete work on our previous project – the restoration (rebuilding?) of Hudswell Clarke 0-6- 0WT “G” class number 1238 of 1916 for the Moseley railway Trust, so in all we have been at it for about four years now on 1215 which seems to be about right for this magnitude of job. Please bear in mind that this is only one or sometimes two days a week – we are all volunteers and although most of the team members are retired, many of us are not and a day job has to also be juggled with the commitment to restore these old locos. I always work using a “Critical path” for any project and 1215 is no different, so our progress is mapped out and the next stages are always being planned for. I mark-off the key stages or “milestones” when they are met and it is always good to see the ticked off list of these growing – when they are all ticked-off it means we have finished and we can bring in the next project! As of the end of May 2016 the volunteer team have put in the grand total of 10163 man hours working on this loco – this does not include all the time that Ian Hughes, myself and others spend doing all the administration and drawings etc for the project. So far we have put in 2470 hours in 2016.The AVERAGE team turn out every Tuesday is now 12 people with 5 people on a Thursday, so we are a very productive team! All of this costs money of course and we have been extremely lucky in that we have been supported by various grant making bodies over the last four years. We have also been greatly assisted by the Trustees and the many supporters of WOLT who have given generously to the project and to one patron in particular, who also helped us with the 1238 project with considerable financial assistance. This well known heritage railway benefactor has twice helped us with match funding us so for every pound we raised he matched us. If anyone reading these notes has been thinking about helping the 1215 project with a donation, now is definitely the time to do so – the loco 1215 needs YOU! The volunteer workshop team are absolutely determined to see through the restoration of this loco to full working order once more – now the new boiler has arrived on site the clock is ticking and we will be counting down to the steam test. There is still much to do, but we have all of this work in hand and it WILL happen. Contact details for Ian Hughes are: hughesi.460@btopenworld.co.uk and his phone number is 01887 822757 – (please leave a message – Ian will ring you back). We urgently need extra funding now in order to see the job through to completion. WOLT is a registered charity and as such it is registered for gift aid. Gift Aid forms are available from the WOLT website or via Ian’s contact details above – this can further increase the value of a donation to the Trust by up to a further 25% and it comes from HMRC. The 1916 loco – 1215 – is a very important and historic narrow gauge steam locomotive. 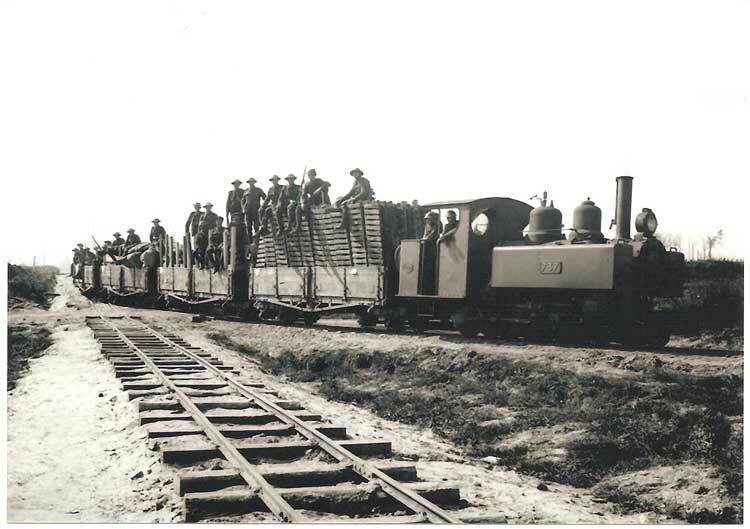 Our locomotive was built by the Hunslet Engine Company of Leeds to the order and technical specification of the British War Office for use on the light railways supplying the trenches of the Western Front. 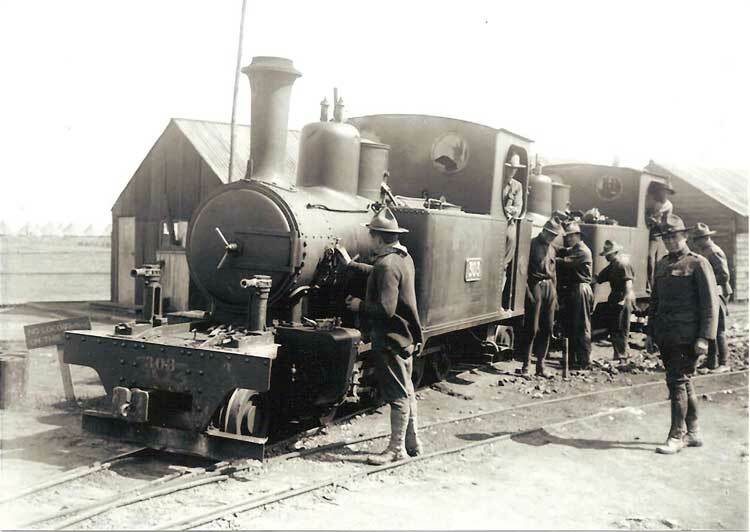 They were designed and the first locomotive of the class was completed in just over 3 months – a remarkable achievement for a relatively small manufacturer who was already committed to manufacturing gun making equipment for the War Office. They had lost a large number of tradesmen to the various regiments raised in Leeds, eg the Leeds Pals, and as such now had quite a large number of female workers. The British War Office had finally concluded by late 1915 that the original transport plans of requisitioned horses and road transport was unsuitable for the conditions that the front had by now degenerated into, but the majority of British manufacturing was already turned over to the war effort in preparation for the Somme offensive, which started on July 1st 1916. The fact that Hunslet managed to produce over 90 of this type of loco before the war ended was a remarkable effort. Unfortunately, this was not enough for the War Office, so they turned to the enormous capacity of Baldwins in the United States, who turned out no less than 495 of their similarly proportioned locomotives – of which a small number still survive. Our Hunslet is notable in a number of ways. It is only the 3rd one of the type built and it was actually the 2nd one to leave the factory as part of the initial order (37400) for 10 locomotives! 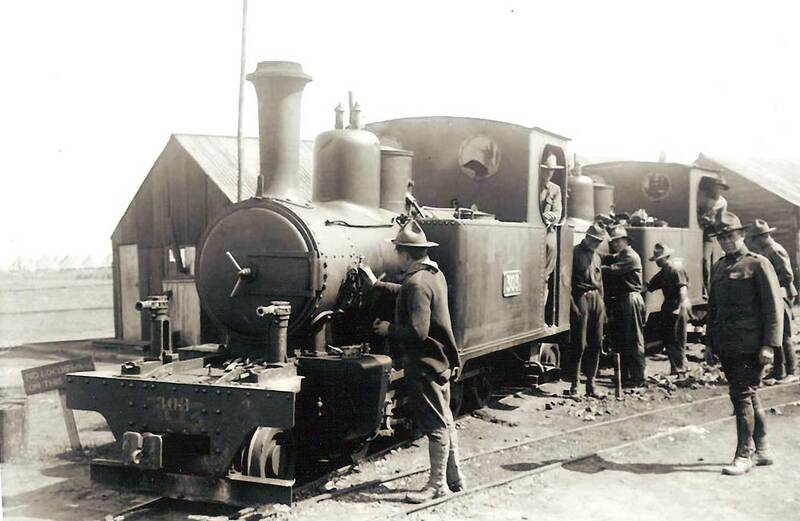 The 1215 was dispatched on the 12th August 1916 to France, though we do not know exactly where it headed to first. It is, however, well recorded that the Hunslet 4-6-0s were used on one of the first lines officially operated by the British forces. We are also incredibly fortunate that of the few survivors of the type, 1215 is the only one that has a photograph of it in service as in September 1917 – it was snapped at Boisleux-Aux-Mont to the south of Arras. 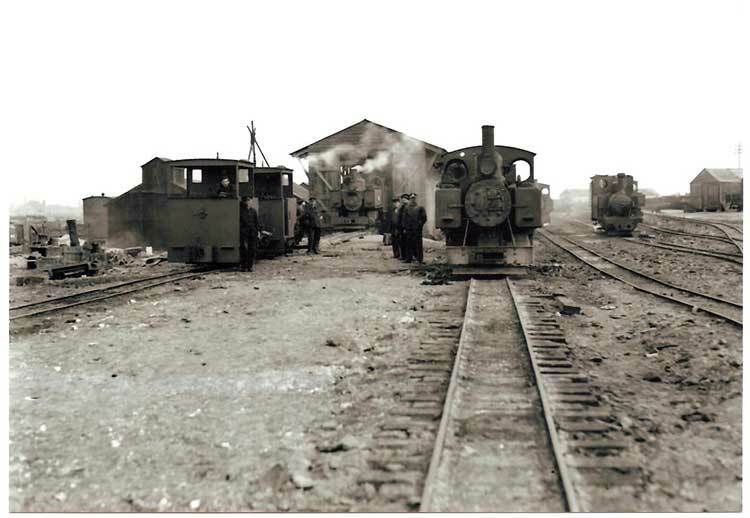 It was later involved in a slight misdemeanour with some ballast wagons just north of Arras, but after this time we have little information of its further war office service. Post war, the War Office attempted to dispose of all surplus equipment and thus in 1924, loco 1215 passed through the Hunslet engine works again for repairs and a slight re-gauge on behalf of the Engineering Supply Company of Australia, and halfway around the world it went to then enter service at the Bingera sugar mill near Bundaberg in Queensland. 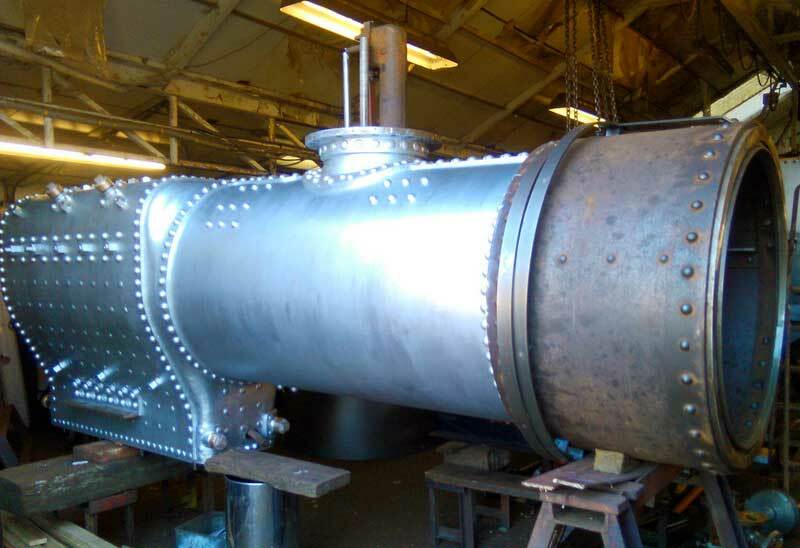 Here it stayed for many years, the limited availability of steel for replacement locomotives during the second war prompted rebuilds and 1215 received a new boiler from the Bundaberg Foundry. Come 1957 and diesel locos had been introduced at Bingera so 1215 was moved north to the Invicta Mill near Townsville where a number of items were transferred off the resident sister loco Hunslet 1226, which allowed 1215 to run for a further 10 years. By 1967, 1215 had been withdrawn, and it was presented to the Rowes Bay Bush Children’s home in Townsville (a scheme established by a WW1 veteran officer) where it was to remain next to the sea for a further 27 years. In 1994 this scheme closed down and after some discussion the locomotive was sold to a Brisbane based enthusiast who dismantled it and made a start on its restoration. 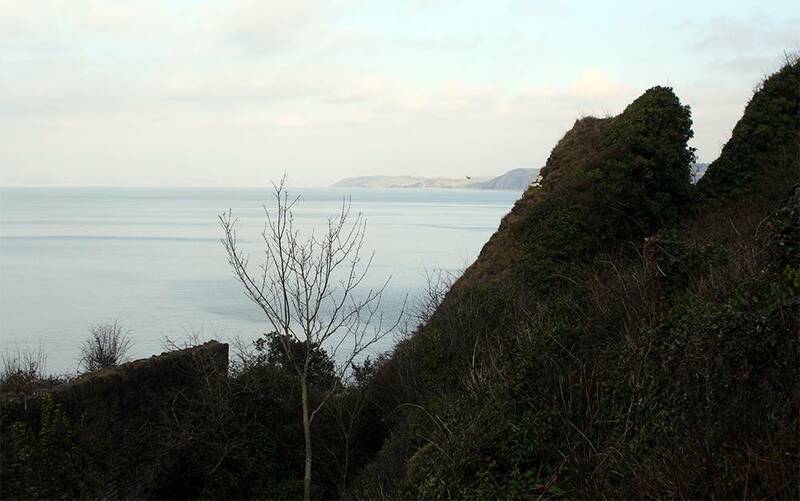 Ten years later (although progress had been made) the owners circumstances had changed, and the opportunity for acquisition and a return to the UK became available. Once fund raising was complete and an export permit was obtained (on the second attempt) 1215 became the first of its type to be seen in Europe for 40 years, and in doing so we reckon it completed its circumnavigation of the world as it returned via the Panama canal. The next eight years brought periods of display at LOCOMOTION the National Railway Museum at Shildon and at Apedale, as well as visits to the Hollycombe Steam Collection and the Leighton Buzzard Railway, before developments and fundraising allowed a start on restoration. Restoration was initially in a small way by the Trustees, but agreement was then reached with the team, lead by Martyn Ashworth (of Heritage Transport Supplies), who were then working on Apedale resident Hudswell Clark loco number 1238 (also of 1916) at a well-equipped workshop adjacent to a private engineering works in South Yorkshire, to take the project forward. To cut a long story short the last four years, since the loco 1215 left Apedale, have been a mix of excitement, head scratching, frustration and relief involving a vast amount of emails, letters, driving, filing, sanding, machining, cutting more head scratching, some nail biting, appeals for support and with relief, notes of thanks. Balancing this is the immense satisfaction of having a brand new boiler being finished off in front of a wheeled, piped and painted chassis with every item on it in great order! This satisfaction is not just for the Trustees and the volunteer team – it must also be shared with the many organisations and individuals who have supported the project so far from the larger ones such as the Heritage Lottery Fund, Arts Council (PRISM award), Statfold Barn Railway and Graham Lee, Garfield Weston Foundation, Foyle Foundation, Transport Trust, the Veronica Awdry Trust and our anonymous benefactor as well as the other individuals without whom we would never have reached the point we have. However, there is definitely still room for others to share the satisfaction of completion as we push on to get the job done. So please help the team hit the target of returning 1215 to steam in her own centenary year. Visit the website www.warofficehunslet.org.uk for more details. I’m going to tell you a little bit about how I came to be a Miller. Before taking over Charlecote Mill, I worked within building conservation around Oxfordshire and Buckingham. I originally trained as a Carpenter but also worked using lime mortars. My interest in mills was sparked when I worked on Brill Windmill, not far from Bicester – it’s a small post mill and I was fascinated by it. Following that I was lucky enough to be asked to apply for the William Morris Craft Fellowship, which is run by the SPAB (Society for the Protection of Ancient Buildings) and I was selected to become a Fellow in 2009. The Fellowship is a unique course allowing crafts people, who work within building conservation to further their understanding and knowledge, try different skills and work with experts within their field. It’s spread over a year in two month blocks and gives you the opportunity to travel within the UK and work with crafts-people and experts within their field. On my Fellowship I decided to concentrate on milling and millwrighting. On my Fellowship I decided to concentrate on milling and millwrighting and spent some time with mills and millwrights around the UK. 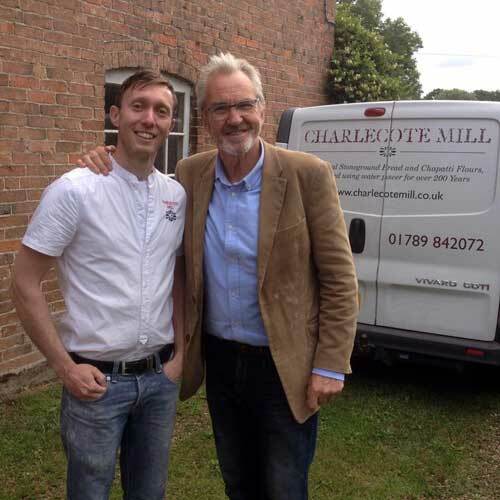 it’s then that I joined John Bedington for a week at Charlecote Mill. 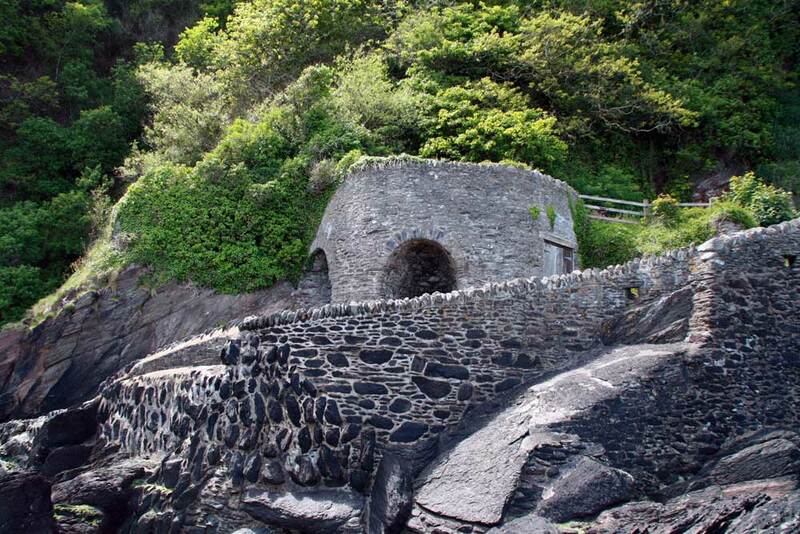 I was struck by how original and unspoilt the mill was and how traditionally it was run. There are only a handful of traditional mills left running commercially in the UK and I was amazed to see this one surviving so well. I went away from my time there contemplating what it would be like to be a Miller. A year later (2010) I decided to become a trustee for the Fellowship and help support the course that had opened my eyes and introduced me to my future. I stayed in touch with John and went to help him at times on repairs and maintenance and when he said he was looking to retire, it didn’t take me long to jump at the chance. What an amazing opportunity to use my traditional skills, looking after one building. 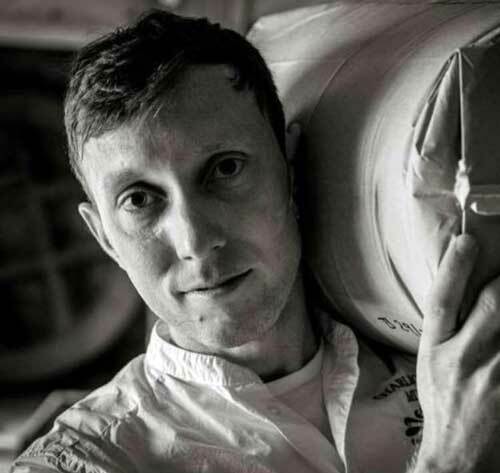 I also gain my own business and become part of the mill’s history – it was too good not to try! It was about 2 years in the making from the initial decision to then becoming Miller. In July 2012 I resigned from my job and went to shadow John for 3-4 months to learn from him and have a crash course in milling. 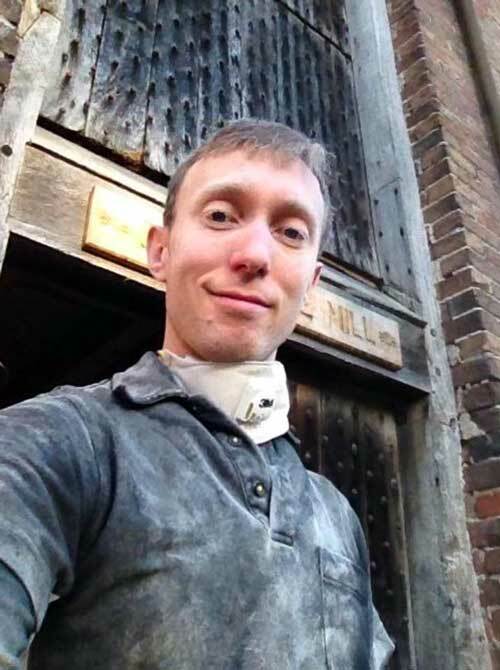 I didn’t know if I was going to get to grips with milling, or running a business for that matter, but I officially took over the mill in October 2012 and I haven’t looked back since. 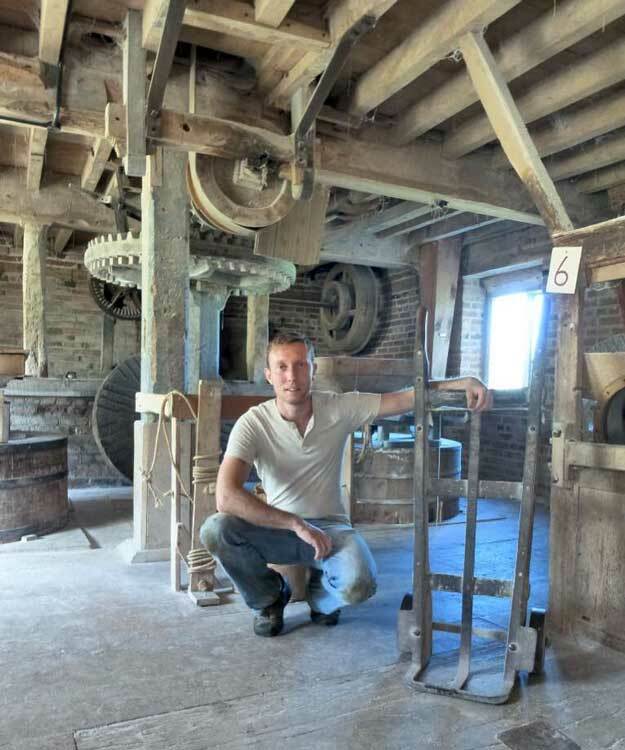 I’m very lucky to be the custodian of Charlecote Mill, I love my job and spending my time looking after this amazing piece of working history. I thank John for his continued support and knowledge and I’m so lucky to have such supportive family and friends. Inclined planes, put simply – are purpose-built slopes. It seems like a simple or even obvious requirement to address the height differences on a transport system, but these were devised in an age when they were dealing with heavy loads and limited by available technology. Long before health and safety considerations, these guys had a job to do, a problem to overcome and the mighty inclined plane saved the day on numerous occasions. A to B had never been so much effort. 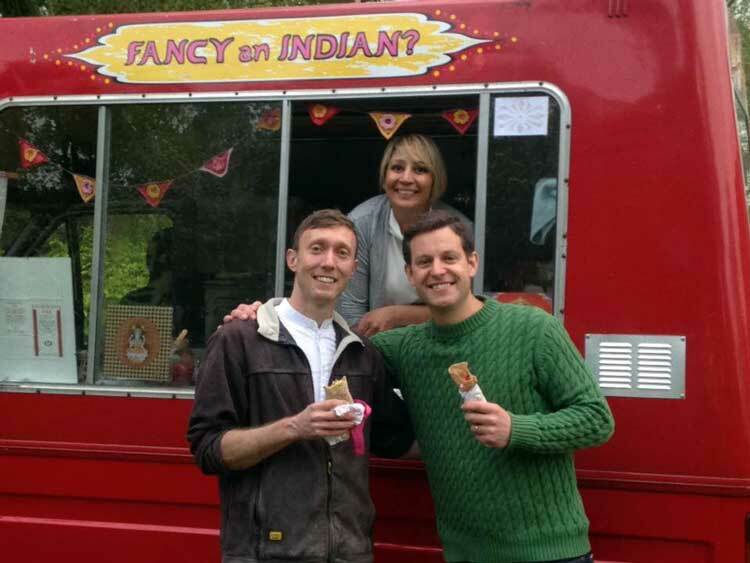 Adapting to change – together! Taking the lead on lead (Pb)! Lime is of the Essence!